A two-component water dispersed epoxy floor coating for use on concrete and polymer modified cementitious screeds. PPG EP201 Water Based Epoxy Coating is a two-component water dispersed epoxy floor coating for use on concrete and polymer modified cementitious screeds. PPG EP201 is designed to provide a tough, hard wearing protective floor finish in a range of colours. PPG EP201 is water vapour permeable and may be applied to 7 day old ‘green’ concrete. PPG EP201 has an easy to clean, semi-gloss flooring finish which makes the product ideal for garages, light industrial units, warehouse floors and other areas subject to pedestrian and light vehicular traffic. through the coating and excess wear will occur on high spots. If the floor requires levelling or repairing then please choose a suitable product from the PPG Cementitious Flooring Range. the removal of water and maintain curing times. The substrate should be surface dry with a maximum relative humidity of 80% and free from rising damp and ground water pressure. Pre-mix the coloured resin component before use. Add the hardener component to the coloured resin component and mix using a low speed electric mixer (200 - 500 rpm) fitted with a mixing paddle designed to minimize air entrainment for 1 - 2 minutes until homogeneous. Care should be taken to ensure that any material adhering to the sides and bottom of the mixing vessel is thoroughly mixed in otherwise uncured patches may result. Apply by brush, roller or airless spray. Depending on the substrate porosity, the first coat may be diluted with up to 10% water to aid penetration. The water should be added after mixing of the resin and hardener components is complete. Avoid ponding or over application of the coating as trapped water will lead to incomplete cure. Do not apply subsequent coats until the previous coat is completely dry. The curing time will depend on temperature, atmospheric humidity and degree of ventilation. Adequate ventilation and air movement is necessary. Each coat should be applied at right angles to the previous coat in order to minimize imperfections and unevenness overall. Uneven application may lead to differences in gloss levels across the cured floor. PPG EP201 does not have a visible end of pot-life. After the pot life has expired the material will not be hardened or have increased in viscosity but the characteristics of the product will have changed and the final properties of the coating will be affected. Discard excess material after this period. The material should be protected from contact with water for 7 days. PPG EP201 is not 100% colour fast and may yellow over time. The rate of change will depend on UV light and heat levels and cannot be predicted. This will be more pronounced with lighter colours and blue shades and does not compromise the product’s performance or chemical resistance characteristics. but the characteristics of the product will have changed and the final properties of the coating will be affected. Discard excess material after this period. A minimum of two coats are required. Some substrates may require additional coats depending on profile and porosity. 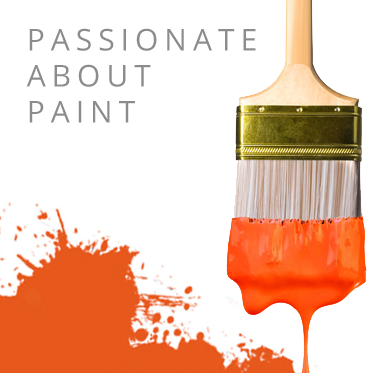 Light or bright colours such as safety yellow or safety red may require additional coats to achieve full opacity. VOC Content: Complies with category j type WB (< 140 g/l VOC content).